Come and see us at this new event. We are delighted to be exhibiting and delivering an interactive talk on Day Two at 12.15-12.45. Find us on Stand F137. We look forward to seeing you there. If you can’t make it, but want to know more about us, please get in touch. The ISE Student Development Conference is a unique event, which brings together over 150 early talent development professionals responsible for entry-level talent programmes. The event incorporates a development-focused exhibition of suppliers running alongside the programme which features keynote speakers, plenary sessions, breakout sessions and workshops. Meet us at the Manchester HR Summit on 14 February. This highly focused one day event brings the HR industry together for business meetings, interactive seminars, discussion groups and valuable networking opportunities. Attendance is entirely free of charge. Access to all presentation material. 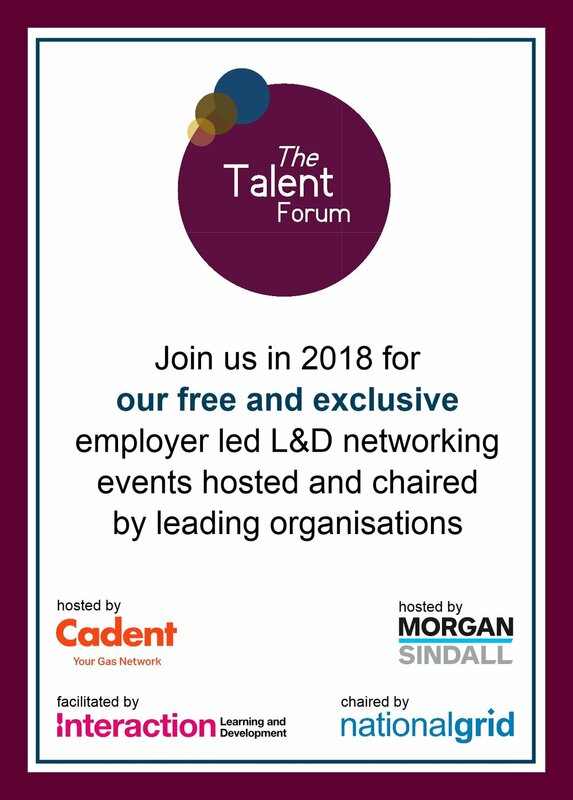 The Talent Forum, hosted by leading organisations, chaired by National Grid and facilitated by Interaction Learning and Development has been borne out of conversations between L&D colleagues about the need to share best practice for developing and retaining talent with like-minded practitioners – in an employer-led event. Our next event is 8 February - hosted by Gloucester County Council. If you cannot make make this event, but interested to find out about future events, then register your interest to be kept informed. We are exhibiting at The Irish Institute of Training and Development’s Thrive and Grow, Leadership Development Conference at the Croke Park Stadium in Dublin on 6 December. Join us at this event next week in London, where we will be running a session to bring to life our work on early talent development with our client, Claire Noble – New Talent Manager at Cadent. You can also read more of our case studies here. LEARNING LIVE is a unique experience designed exclusively for senior decision-makers in corporate learning. We will be exhibiting at the event and delivering a workshop on the 6 September from 2.45 - 3.30pm entitled 'Does vulnerability equal weakness?'. You can read our Read our bio here. If you hold a senior position in corporate learning, you may attend the conference, without charge, on either or both days. The L&D Show is the place to find out about the latest developments and thinking in L&D. Secure your place at the 2-day conference and exhibition and you’ll discover inspiring thought leaders, innovative practitioners and expert suppliers – ready with the advice you need to ‘drive performance through L&D’ and add real business value. We'll be there again this year - come and see us on Stand 453. 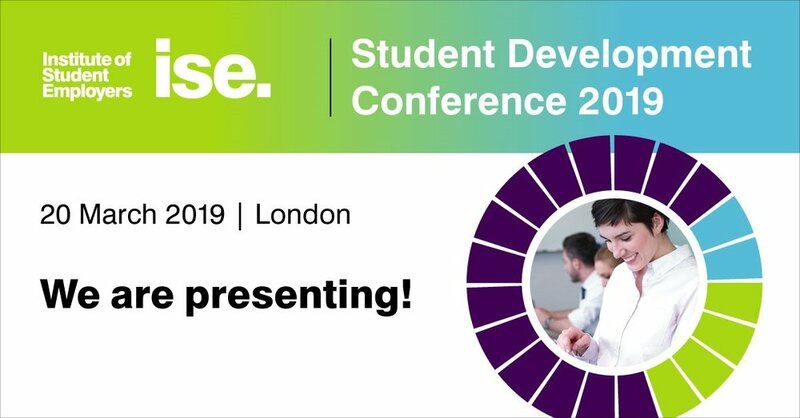 The ISE Student Development Conference is a unique event, which brings together over 200 early talent development professionals responsible for entry-level talent programmes. Interaction will be exhibiting and sponsoring the conference bags. It's the 70th CIPD Annual Conference and Exhibition and we'll be there again. Find us on Stand G41 and pick up some goodies. The CIPD Learning and Development Show is taking place on 10-11 May at London Olympia. We will be delivering a Showcase in the Topic Taster area on Day Two from 9.15-9.45 - Click here to read more. We'll also be on Stand 453. Come along and see us. If you can't make it, but would like to find out more about us and what we do, please get in touch. We'll be exhibiting at the AGR Conference in 2017. We'd love to see you there. Can't make it, but want to know more about how we can help with your training needs? Get in touch - we'd love to talk to you. We'll be at the HR Summit again, this time in Manchester on 9 February 2017. This is a highly focused event that brings together buyers and suppliers; the summit consists of one-to-one business meetings, interactive seminars and valuable networking opportunities; all to enable you to create lasting business relationships. If you can't meet us there, but would like to speak to us about your training needs, please Contact us. Come and see us at CIPD's Annual Conference and Exhibition. We'll be on stand D102. Look out for the pink gerberas. If you can't make it, but want to talk to us about your training needs, please get in touch. This is our second year sponsoring this unique event. The Utility Week HR Forum is the only event that exclusively brings utility sector HR leaders together for a day of training, recruitment, well-being, reward and people development excellence.